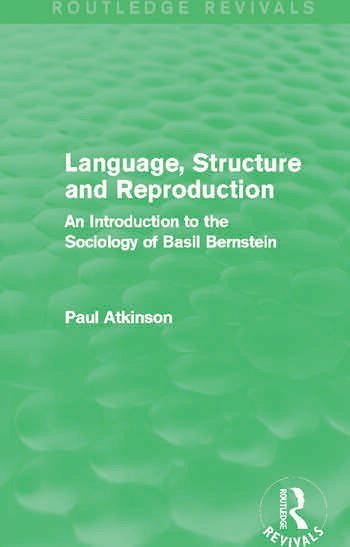 Basil Bernstein is one of the most creative and influential of contemporary British sociologists, yet his work – especially that relating to language and social structure – is widely misunderstood and misrepresented. This book, first published in 1985, addresses the underlying themes and continuities in Bernstein’s work and portrays him as a sociologist in the Durkheimian tradition. This reissue will be of particular value to students interested in the sociology of education, language and society, anthropological linguistics and communication studies.